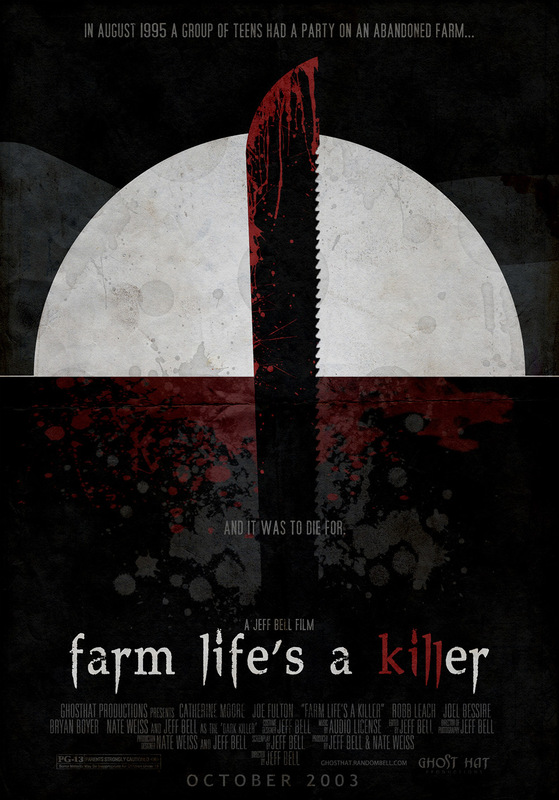 When a group of teenagers go out to an abandoned farm for a party, they find they’re not alone and must fight to survive being taken by the Urban Legend: The Dark Killer. The movie had been filmed but sat unedited for almost 3 years before finally being “completed”. Only 2/3 of the film had been shot and edited into the final product, resulting in the numerous plot holes and confusing scenes. In the original script when people were killed they would return back as zombies. The idea was scrapped after a big scene where the zombies attack the house had been cut from the film. A few pieces of the zombie thread can be still scene in the film with the appearance of Zombie Bob, Boyer, and Nate. The character of Joe was originally killed in the tool shed by the Killer, only to come back as a good zombie to help Cat and Sarah. His death was cut after the zombies were removed from the storyline. His original death scene can be seen on the DVD as a bonus feature. There were close to 7 drafts of the screenplay during production as different people became available/unavailable. Different characters were condensed down into one to help compensate the changing script.